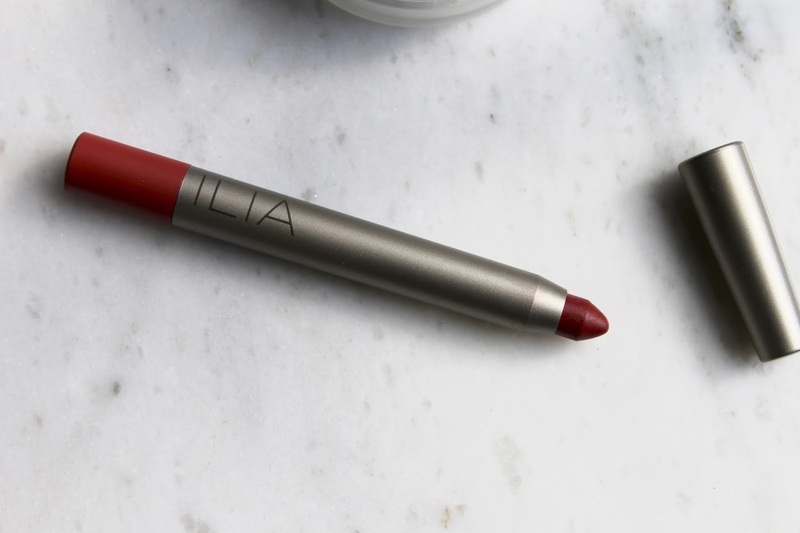 Ilia is a brand I've heard talk of among the green-beauty set for some time now, but the entirely new-to-me brand is actually worthy of much more hype than it receives. 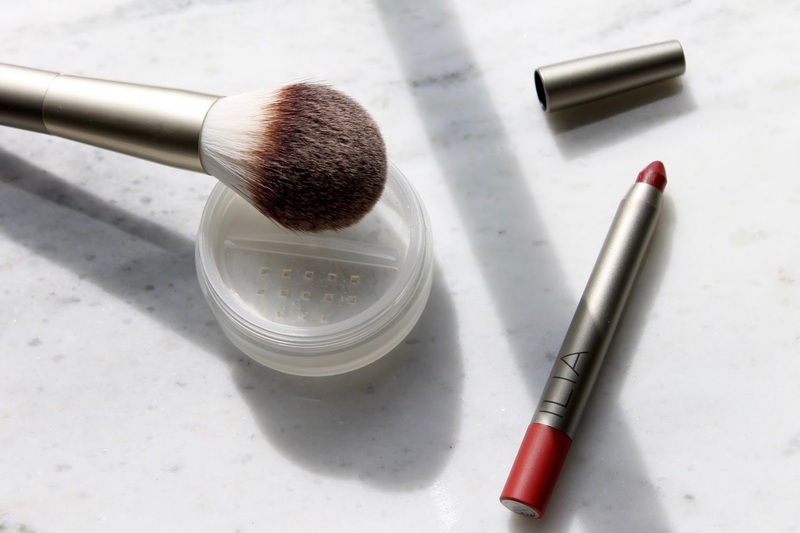 I started with the brand by testing out two of their hero products, and one new accessory...a buttery soft brush. Here are my thoughts and why I think you should place an order, like, now. Ilia Soft Focus Finishing Powder in Fade Into You - The name pretty much sums it right up in this product's case. This über finely milled powder suits any and every skin tone and works wonders in real life pore-photoshopping. I love how smooth it makes my skin and the veil it creates to boost makeup longevity, without ever looking like powder (*shudders*), I love even more that it has an extremely fine bit of radiance in it to keep the complexion from looking flat. No makeup, makeup lovers - this one's for you. 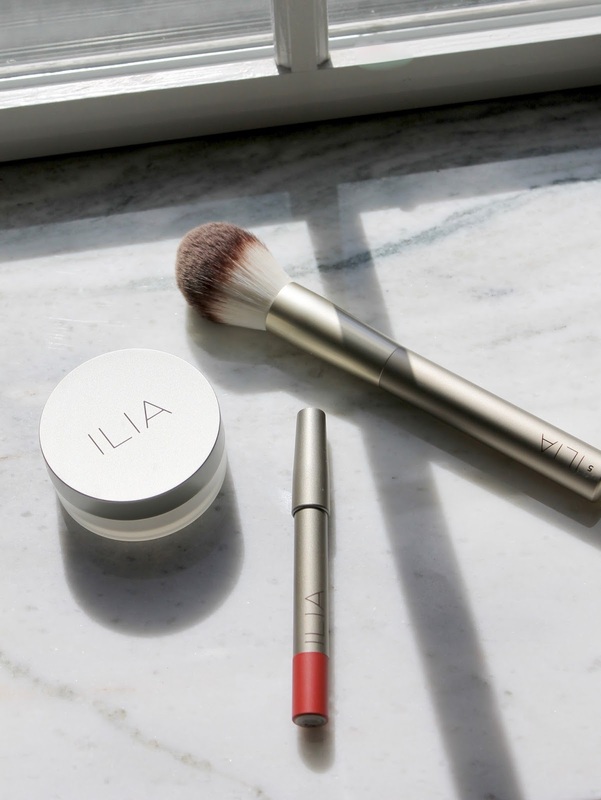 Ilia Finishing Powder Brush - Your new do-it-all brush; the perfect tool to apply the aforementioned powder in the most seamless way imaginable. But wait, there's more. It's soft, tapered shape makes it quite versatile, and I love it for applying a very airbrushed bit of color to the cheeks, and a blown out bronze to the rest of the face. I also can't go without mentioning how luxe it is in general, the quality is completely amazing. This is green beauty gone luxe, and it's done in a way that French-it girls would very much approve of.